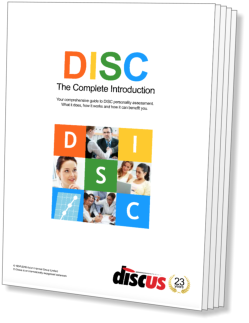 Stress is a very broad and complex issue, and a detailed examination of all its aspects lies beyond the means of the DISC system. Nonetheless, by closely examining an individual's profile, and especially the variations between the External and Internal Profiles, it is possible to glean some information about the amount of stress a person is currently experiencing, and their likely reactions. An estimate can also be made of the source of this stress. Before continuing, we should define what is meant by 'stress'. In terms of the DISC system, this term has a meaning different from, but related to, 'pressure'. Where pressure results from a short-term problem, stress is considered to be related to the longer term, persisting over weeks, months or even years. Examples of sources of stress might be a conflict in the workplace, difficulties with home life, or ongoing financial concerns. Where an individual is experiencing great stress, it is not unusual for one or more of their DISC graphs to become 'Compressed'. If this is the case, the techniques described in this section are not applicable - the stress is simply too great to be measured by these means. See the section on Special Situations for more details about the Compressed Profile effect. While DISC can be used to provide an approximation of stress in a profile series, the preferred approach is to assess the 'Profile Tension' between the candidate's Internal and External Profiles. This gives us a measurement of the extent to which the candidate is adapting themselves to their working conditions - the greater the adaptation, the more likely stress is being experienced. The degree to which this applies to an individual candidate is dependent on their innate adaptability. By definition, more adaptable styles are better able to adapt themselves to different conditions. All types will find this kind of tension debilitating if it reaches sufficient proportions, but some types are able to deal better with it, and actually find small amounts relatively invigorating. Specifically, the lower the Steadiness score in a candidate's profile, the more adaptable that candidate will be. Each candidate has an Adaptability threshold: the point above which Profile Tension will be likely to show a negative effect on an individual's performance. Dominant types typically have a high Threshold, for example. By examining which of the DISC factors shows the strongest adaptation between the two Profiles, and the direction of that adaptation, it is possible to estimate the most likely source of that adaptation, at least in general terms. For example, if we find that a candidate shows very low Dominance in their Internal Profile, and much higher Dominance in their External Profile, it is clear that they feel the need to present a more assertive, dynamic and efficient approach. The very fact that this approach is not inherent in their natural style would make it a significant candidate as their source of Profile Tension.